Stowe VT Vacation Rental Home This stunning post and beam style home is perfect for a vacation rental in Stowe Vermont. There are six bedrooms and 4.5 bathrooms, with an open floor plan. Ideally located just a mile from Stowe Village this house affords easy access to Stowe Mountain Resort and Stowe Mountain Lodge. The large dining room and table are great for entertaining, and the chef's kitchen is open to the dining area so you can cook and entertain. There is a nice TV room which is also open to the dining and kitchen. The living room is spacious with a wood burning fireplace and great for curling up with a book or playing board games. 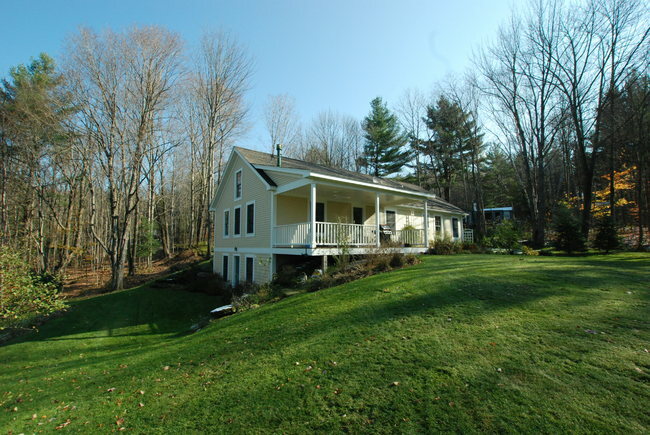 Stowe VT Holiday Rental Home There are three master suites, two on the main level. In addition there are three bedrooms with twins and queen beds. This home features a steam shower in the master bath, a home office, wifi and flat screen TV. It is fully equipped for large families and gathering. 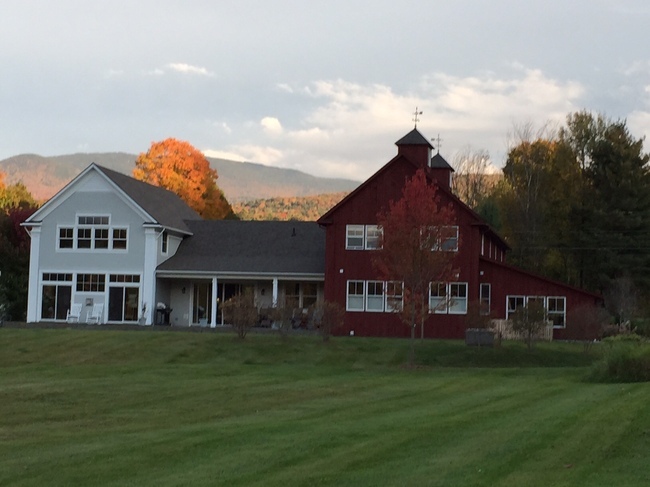 Come enjoy a true Vermont home in Stowe VT.
Stowe, VT Luxury Summer Vacation Rental Located in the idyllic setting of Adams Mill, this newly built home is a luxurious modern Vermont Farmhouse. The open layout allows for plenty of light to flow from one side of the house to the other, while bringing the mountain views into the living areas. The gourmet kitchen is of the highest quality with a large kitchen island as the center piece. The open living room allows for relaxing while chatting with the chef as they prepare an evening meal. The first floor master is spacious with views of the mountain and a bath fit for a king. There are four additional well appointed bedrooms and two full bathrooms on the second level. There’s a game room offering ping pong and a tv area for the kids to spread out. 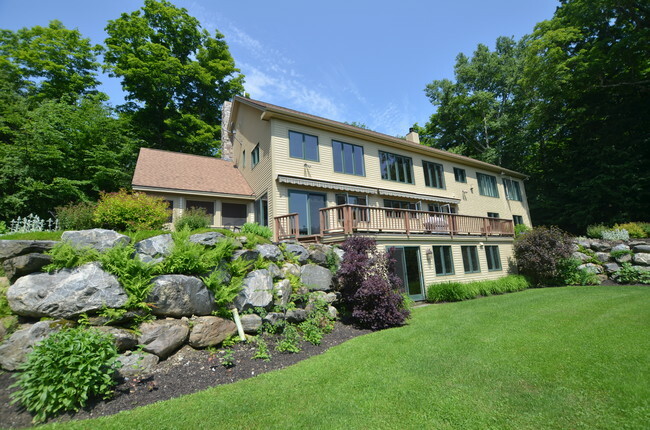 The house has central ac throughout and a large custom stone patio perfect for summer BBQ’s. Near by there is easy access to the river for tubing, common pond for swimming and fishing and access to hiking and biking right from the front door. 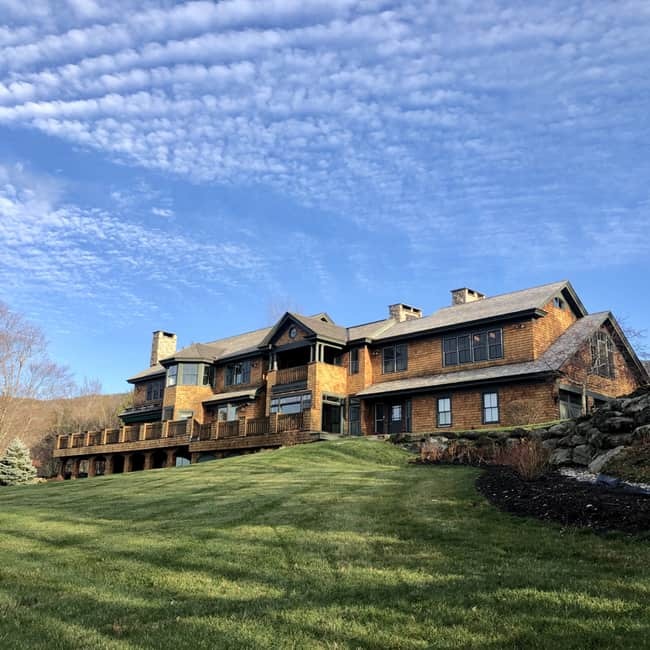 Luxury Five Bedroom Stowe VT Vacation Rental Ideally located in the exclusive Stowe Club neighborhood, this exquisite home offers stunning views of the Worcester range. With five bedrooms the house has plenty of room for spreading out and entertaining. The post and beam style lends itself to the surrounding beauty of Stowe. An open chef’s kitchen with all the bells and whistles makes this vacation rental seem like you are at home. There’s a formal dining room and an informal eating area off the kitchen. The living room is centered around a double sided stone fireplace with a library on the other side which is perfect curling up with a book. High-end Winter Seasonal Rental The second floor has a large master suite with a gas fireplace, soaking tub, king bed and stunning views. Additionally on this floor are two large bedrooms both with en-suite baths. One has a queen and the other two double beds. There is a fourth bedroom with bunk beds and views! The basement is fully equipped with a pool table and media room. There is an additional fifth bedroom with a spa like bath. This home is available for short term vacation rental and full winter seasonal rental. Please inquire. 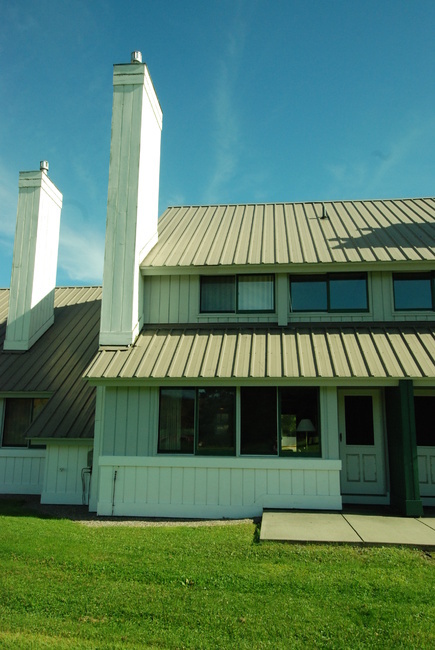 Stowe, VT Winter Season Rental Stunning three bedroom, three and half bath winter seasonal rental available with views of Stowe Mountain. 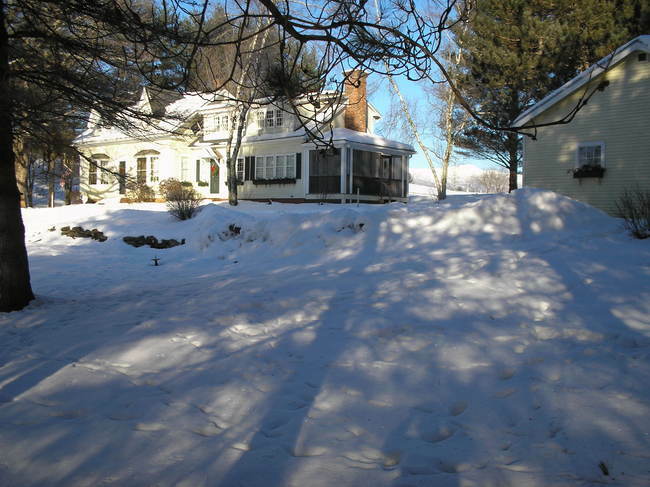 Ideally located to Stowe Village this winter rental is cozy and warm. There is a well sized family room with a gas stove and stunning views of Mt. Mansfield. The chef’s kitchen is fully equipped and has all the amenities of home. Located on the main level there is the master suite with an en-suite bath. The bath features a large Jacuzzi soaking tub, perfect for relaxing after a long day on the slopes. Additionally on this level there is a bedroom/home office, full bath and laundry. Stowe, VT Rental Home The lower level features another master suite and attached bath. This bedroom has a queen bed as well as two twin beds, so it’s perfect for more than one person. The attached bath is renovated with a shower and granite counter tops. A bonus room on the lower level offers an escape from the business of the house for those looking to curl up with a book. Enjoy your morning coffee and take in the views of Stowe Mountain. Dogs considered for this rental. Call today. 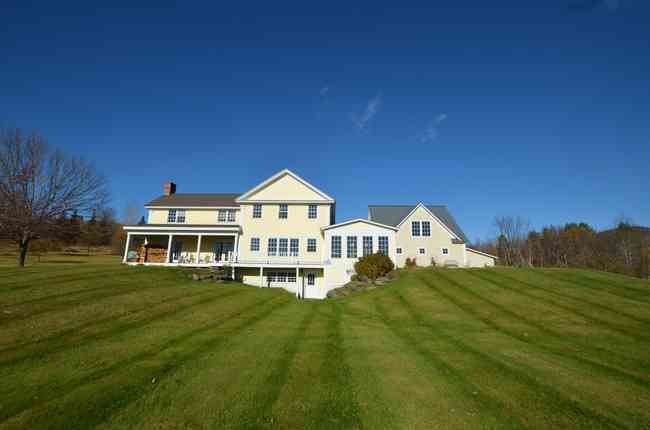 Stowe VT Winter Seasonal Rental This four bedroom, four bathroom home is ideally located on Shaw Hill in the Moscow neighborhood of Stowe Vermont. 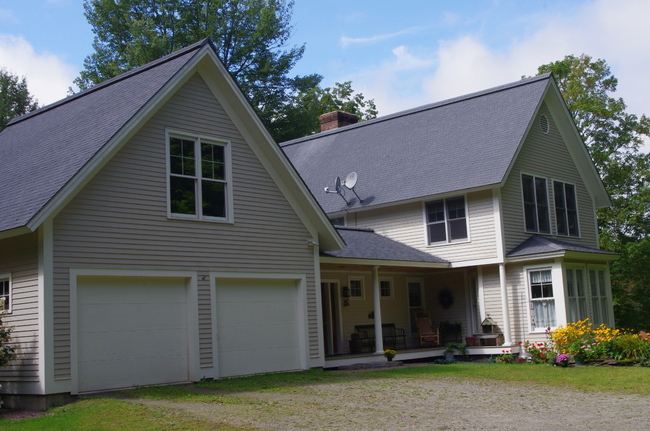 This location offers great proximity to Stowe Village, easy access to Stowe Mt. Lodge and I-89. The open layout has a warm feel and flow, there is a large kitchen with a breakfast bar that opens to the dining room. Keep warm with the wood burning stove. Move easily from the dining/kitchen to the oversized living room. The sunken living room has a wood burning fire place along with oversized couches and chairs for cozying up to stay warm and watch the game on the large flat screen TV. There is also a reading nook located off the living room in the silo style portion of the house. Additionally there is a home office just off the living room as well. 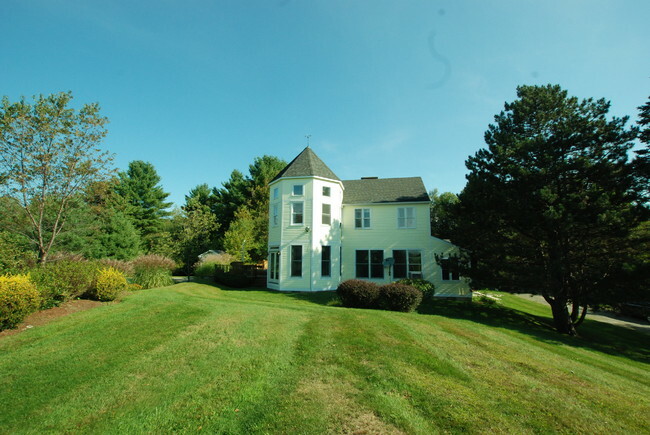 Stowe VT Long Term Furnished Rental The master suite in this finely crafted home is spacious, including a separatee bedroom area also located in the second level of the silo portion of the house. This comes with a king size bed and flat screen TV. There is a en-suite bath complete with a soaking tub with views. Additionally in the master suite there is a home office and walk-in closet. There are two additional bedrooms located on the same level as the kitchen, both come with king size beds and flat screen TV's. One has an en-suite bath, the other has a bath right across the hall. The final bedroom is on the lower level with a queen size bed and there's a full bath to service this bedroom. The lower level/entry way of the home features a fantastic mudroom complete with cubby's, slate floor with plenty of room for all your gear. There is a bonus room that has two twin beds for when you have overflow. This house also comes complete with a detached two car garage, deck and swimming pool. Inquire for winter seasonal rates and longer term rates. 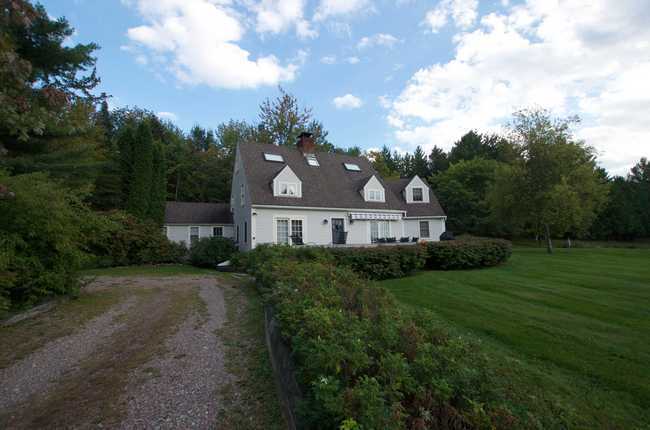 Stowe Vermont Farmhouse in a great location between the Village and the Mountain. This 3 bedroom home features an open floor plan with hardwood floors and fireplace. The 2 car garage opens into a large mudroom with radiant heat and a first floor washer and dryer. There is a living room with a fireplace and pull out queen bed. Step outside from the open family room and dining room onto a large deck with Mountain views. The Upstairs has 3 bedrooms and 2 full baths. The master bedroom has a king size bed and a whirlpool tub in the Master bath. The second bedroom has a queen size bed, and the third bedroom has 2 twin beds. The finished basement provides extra space for company.